Group Discussion Ideas > General GD Topics > Do Indian workplaces treat sexual harassment cases seriously? 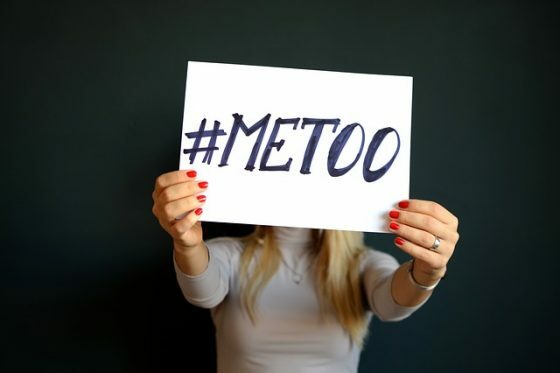 People often fear to complain against sexual harassment as they are ashamed, fear retaliation, lack of trust in the system, and fear of losing their jobs. Sexual harassment and other types of violence are increasing day by day in workplaces, schools, colleges, etc. Before 1997, women experiencing sexual harassment could file a complaint under the section 354 and section 509 of the Indian penal code. Section 354 of the penal code states that assault or criminal force the women with the intent to outrage her modesty shall be punished with the imprisonment which may not be less than three years and may extend up to seven years and may include fine. Section 509 states that any act, gesture or word intended to insult the modesty of a woman shall be punished with the imprisonment of one year with fine or with both. On 23rd April 2013, the legislature finally brought into force “The sexual harassment of women at workplace Act 2013” that seeks to protect the women from sexual harassment at their workplace. This act marks an important step towards the protection of women. Molestation cases take a lot of time to be solved. In many cases, the accused is out on bail for years till the case is solved. This causes mistrust in legal system and encourages criminals. All the sexual harassment laws are extremely biased towards women. Men too deserve the equal rights in the laws, but men are not included in any of the laws which means no men can complain about the sexual harassment. In developed countries and some other deveoping countries, men are also given equal protection under the harassment law. Compensation is also awarded to the women on some cases, what if someone accuses a person just for the sake of some money, because of which he may lose his job, his career could go down and most importantly his reputation will be gone forever. All organizations should have a well-defined sexual harassment policy. Organizations should constantly check and update the policy according to the work environment based on the new Act of 2013. All the employees should be made aware of the sexual harassment policy at the time of joining. Sexual harassment awareness programs should be periodically organized to make employees aware of their rights. All the complaints should be treated equally and should be given equal attention and needs to be properly processed. Sexual harassment is a serious problem and protection laws mark an important step in the progress towards the protection of women at work, but it is the duty of every person at the workplace as well as judiciary system to ensure that the women’s right to equality in the workplace. According to me in India most of the Government and non-government organisation woman are working , most of the employer wants to recruit woman candidate especially in private organisations because woman candidate they are very sincere , punctual and hard working and not only they are very loyal . But most of the cases woman harassing physically and mentally but they are not able to complain for fear of losing the job and employer does not like any chaos to run the business . Though we are talking woman empowerment andan and woman both are equal in the workplace but in this matter woman they are shy they don’t want to disclose with anyone, I e as long as it’s possible they tolerate I e employer also take advantage , they know what is going on but they don’t care and accused person go Scot free. But law should impose those are misbehave with the woman employee they should be punished otherwise accused person will get benefit it should be stopped.